Hotel options abound near Disneyland. But how can you find the best hotel in Anaheim for your family? Here are 10 reasons to choose Embassy Suites Anaheim South for your Disneyland vacation. Before a full day romping through Disneyland and Disney California Adventure, you want to make sure the whole family gets a good night’s sleep. A separate bedroom (with a door!) at Embassy Suites Anaheim South makes bedtime more peaceful for kids and adults alike. 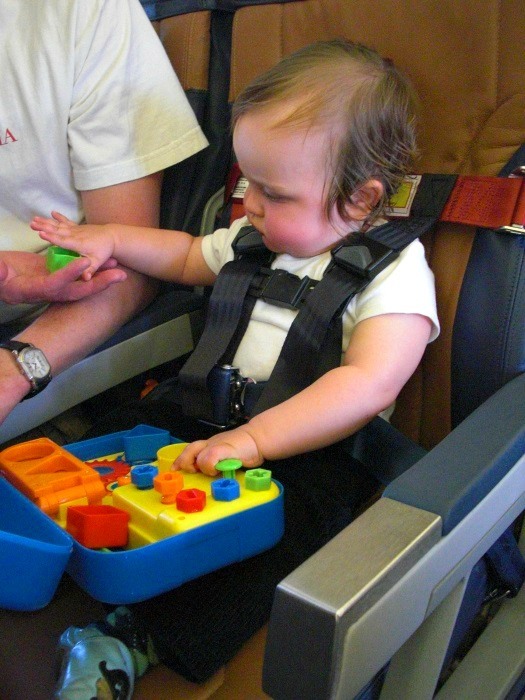 If traveling with a baby or young child that still needs to sleep mid-day, that extra room means parents and older siblings can watch television or chat during naptime. I love the Embassy Suites cooked-to-order hot breakfast, which is complimentary for hotel guests at all locations. Serve yourself from a buffet of cereals, yogurt, fresh fruit, bacon, sausage, scrambled eggs, breads and pastries, pancakes and more. 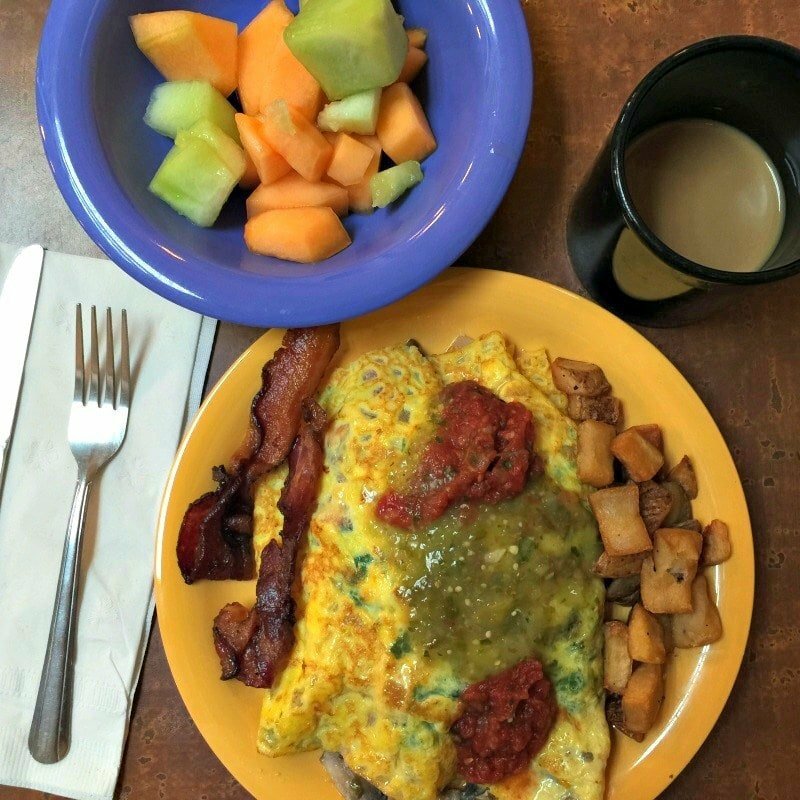 I always order a freshly cooked omelet, too. Even picky eaters (like my 7-year-old son!) are sure to find something they like from the spread at Embassy Suites Anaheim South. In your suite, you’ll find a mini fridge, microwave, coffee maker and cozy kitchen table for convenient snacks, take-out meals, and room service. The bathroom comes stocked with shampoo, conditioner, lotion and soaps. Need something else? Just call down to the front desk to have extras like a razor or cotton swabs delivered to your room. I appreciated the vanity with mirror outside the bathroom, which made getting ready easier in the mornings for this mama. 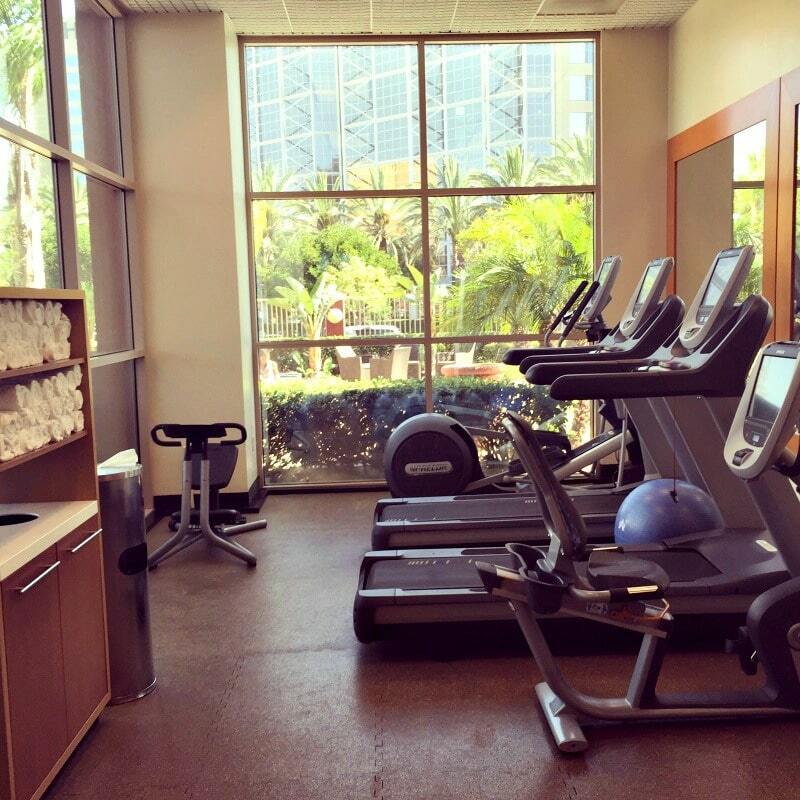 My husband and I both made use of the on-site fitness center with a view of the pool. 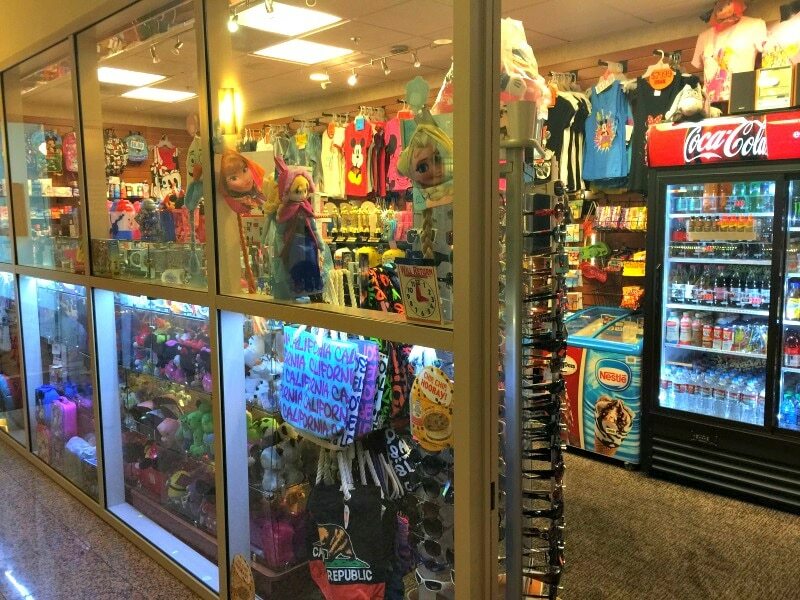 There’s also a mini-mart on the lobby level with drinks, snacks, toys and Disneyland souvenirs for sale. 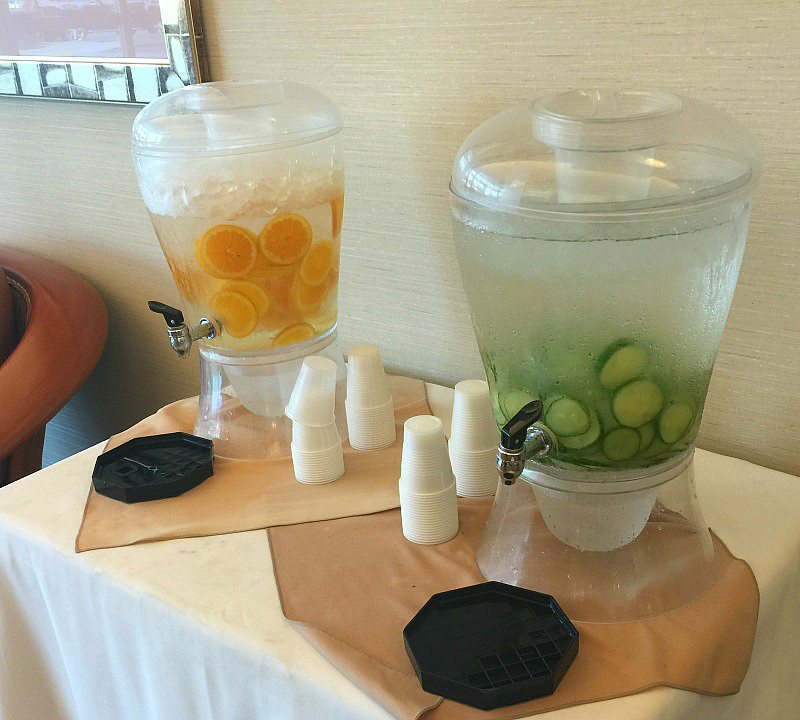 The hotel even offers self-serve orange- or cucumber-spiked iced water in the lobby to quench travelers’ thirsts. Take a break from the Disney theme parks to spend a day splashing in, and lazing by, the pool at Embassy Suites Anaheim South. The large pool is surrounded by cushy loungers. The hot tub will ease sore muscles after a long day of standing in lines and walking from ride to ride. 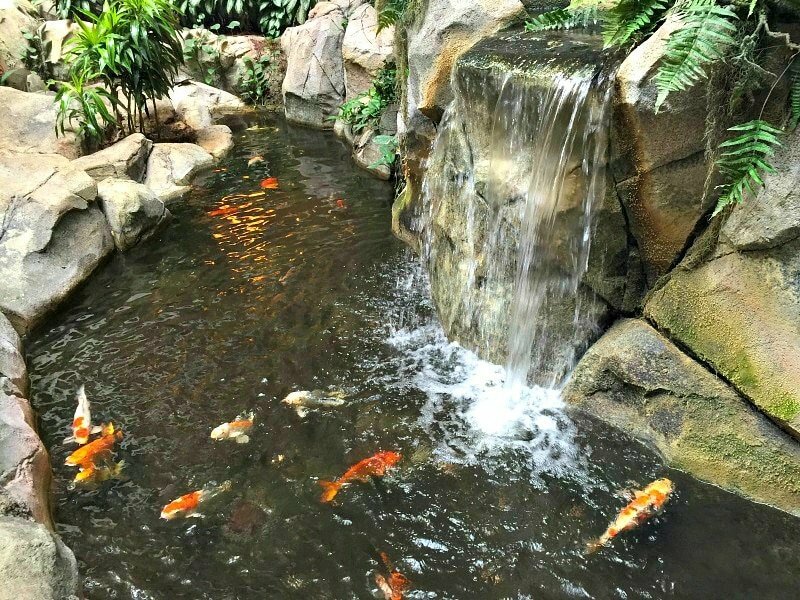 Embassy Suites Anaheim South is home to waterfalls, a pond filled with colorful koi fish, and the signature Embassy Suites indoor atrium. Best of all for families with kids, though, is the animatronic lion reminiscent of Disney’s Lion King, which periodically comes to life (during daytime hours) by moving his paws and lifting his head to shout out a regal roar. 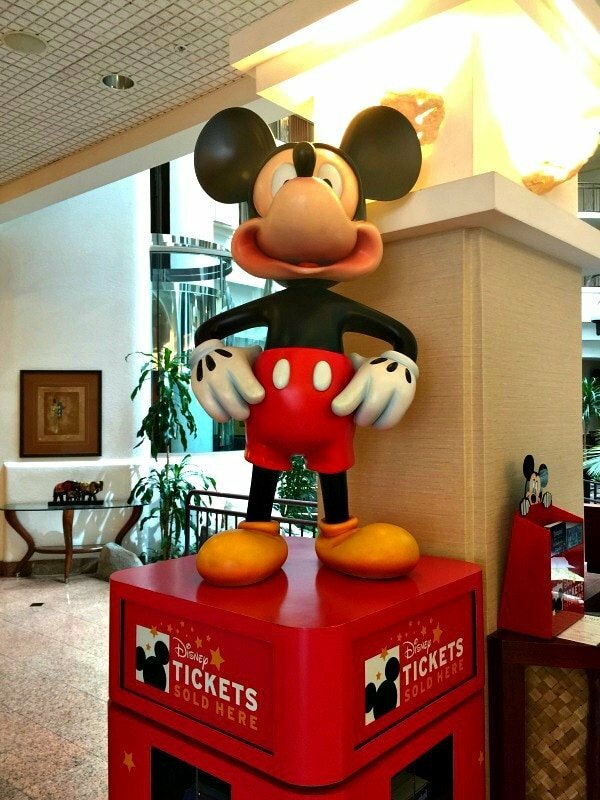 You can purchase Disneyland single theme park or Park Hopper tickets at the Disney desk in the Embassy Suites Anaheim South lobby so you don’t have to waste time waiting in line for tickets once you reach the parks. Located about two miles from Disneyland, you can easily take an inexpensive shuttle to and from the theme parks. The shuttles ferry Disney-goers every half hour. Just sign up at the same desk in the lobby. Embassy Suites is renowned for their nightly Evening Receptions, complete with complimentary light snacks and beverages, including beer, wine and cocktails for mom and dad. At Embassy Suites Anaheim South guests can also choose to purchase affordable dinner items from the Evening Reception Kitchen, like a wedge salad, prime rib dip sandwich or pizza. Too tired to go out after exploring the Disneyland amusement parks? 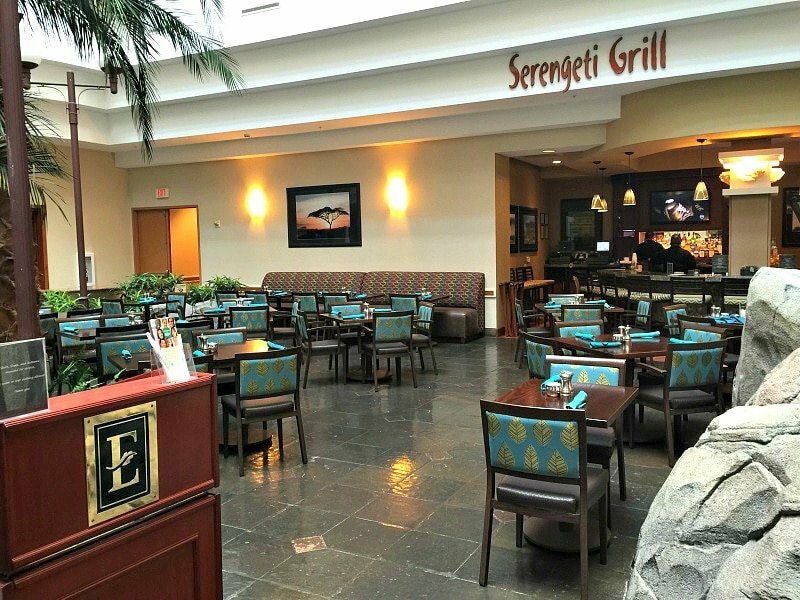 Embassy Suites Anaheim South offers an on-site restaurant, Serengeti. Choose from fresh seafood, gourmet burgers, fresh salads, kids’ items and more. Room service is also offered for lunch and dinner. As with its sister locations, Embassy Suites Anaheim South offers free WiFi to its guests. This makes checking emails and posting your darling Disney photos to Facebook and Instagram a breeze. Don’t believe me? Then listen to Disney! Embassy Suites Anaheim South has been vetted by Disney for its quality and customer service, and is listed among a select number of Disneyland Good Neighbor Hotels. 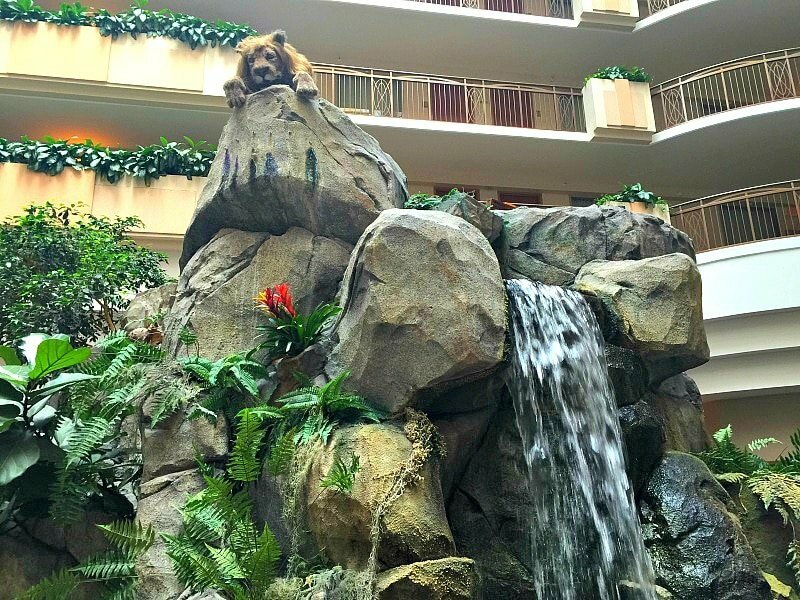 Staying at Embassy Suites Anaheim South added fun and convenience to my family’s Disneyland vacation. I expect a lot from this brand, and they delivered. As an ambassador for Embassy Suites, I and other trusted bloggers provide tips to make traveling easier and more fun. Check out our #PrettyGreat Family Travel Hacks and maybe add one of your own! 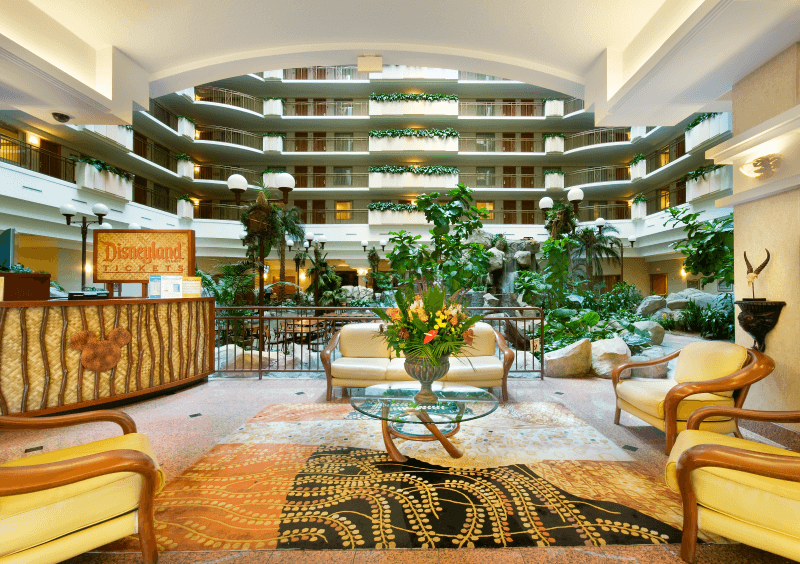 Want to learn more about Embassy Suites Anaheim South? Read reviews on TripAdvisor now. What would your family like most about a stay at Embassy Suites Anaheim South? Let us know in the comments section! A Note from The Travel Mama: This post brought to you in partnership with Embassy Suites. My family received a complimentary stay at Embassy Suites Anaheim South for purposes of this review. All opinions are mine, as always. While it looks like the Embassy Suites offer a lot for families my favourite has to be the fact that all the rooms are suites and come with a separate bedroom. Finding family-friendly accommodation such as this that truly understands families (i.e. that you really don’t always want to share a room with your kids!) makes family travel so much easier! This sounds so terrific for families. Love the fact that there’s a separate bedroom for the kids too – that can really make a holiday so much smoother (and mean the children actually go to sleep!). Also, the cooked to order breakfasts and evening happy hour would be much appreciated by all of us. Sarah – Truly…who doesn’t love free happy hour?! I was hooked on Embassy Suites after a stay in Austin. You just can’t beat this brand for the space, happy hour and family-friendly amenities. Had no idea there was on in Anaheim. Will be hitting this up next time we’re at Disney. Jody – My kids loved the animatronic lion at this one – I bet your daughter would too! You make a great case for this as one of the best places to stay for a Disneyland visit. I hope you all had a wonderful time, too! This is just the type of accommodation we are always searching for. 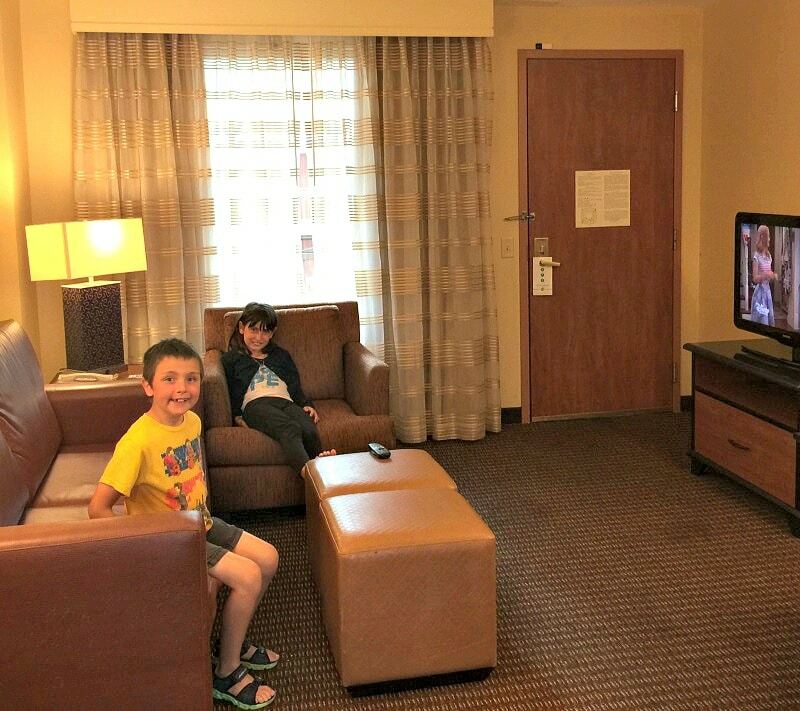 We love having a suite and allowing the family to have a little more space. I also love the atrium feel in a hotel. Heidi – I love the atrium too. It makes the hotel feel like a little mini community and it’s so pretty! We haven’t been to Disney in California and would so love to travel there with our kids, now that they’re still young. This looks like a fabulous place to stay. Maria – Disneyland is fabulous for people of all ages, but it’s especially magical with young children! I just read your article about Embassy suites in Anaheim. We stayed here a couple of years ago for our DL trip and we really liked it! In your article you stated that the shuttle to DL was .50 roundtrip. Is this true? When we went it cost 3.00 per round trip and I read somewhere that the price has gone up since we visited. Also they didn’t have free wifi and their website says that wifi comes at a fee. Please let me know if what you’ve stated is correct? We are planning another trip to DL in a couple of weeks and will consider Embassy suites if the shuttle is .50 and if they are now offering free wifi. Hi Linette – I just called Embassy Suites Anaheim South and indeed their shuttle cost has gone up. It is now $6 for adults and $3 for children. They do, however, offer free WiFi (as do all Embassy Suites locations). Enjoy your Disneyland vacation!